Many homeowners in Pinellas and Pasco counties could get at least a temporary reprieve from foreclosure pending the outcome of a case now before a Florida appeals court. At issue is whether Pinellas-Pasco judges dismissed numerous civil suits, including foreclosures, and whether plaintiffs should be required to refile those cases, further bogging down an already strapped court system. Depending on what the Second District Court of Appeal in Lakeland decides, it could have "serious implications for the trial courts," warned J. Thomas McGrady, Pinellas-Pasco's chief judge. The case, involving a Belleair Beach couple, also highlights problems with "mills" like the David J. Stern Law Firm that have let foreclosure cases languish for months without action. Stern's firm represented Citibank in 2009 when it began foreclosing on the waterfront home of Christopher and Diane Phillips. That July, the Pinellas clerk of court informed Stern of its "intent to dismiss" because of the law firm's failure to serve notice of foreclosure on others who might be living in the house or have a legal interest in it. Stern didn't respond, and the Phillips' case went on a "master order dismissal calendar" with 29 other foreclosure cases, many of them also handled by Stern. On Aug. 27, 2009, Circuit Judge George Jirotka "ordered and adjudged that the cases, as indicated on the attached listing, are hereby dismissed without prejudice" meaning they could be refiled. Attorney Matthew Weidner, representing the Pinellas couple, contends that Jirotka's order terminated all 30 foreclosure suits. Because Stern's firm did not start a new suit against his clients, Weidner said, the judge should not have allowed it to file a motion for summary judgment of foreclosure last year. In appealing to the court in Lakeland, "I'm saying Judge Jirotka doesn't have jurisdiction over this case, and I'm asking you to ban him from moving forward at all," Weidner said. McGrady, the chief judge, countered that Jirotka's order dismissed only parties that had not been properly served, not the cases themselves. But both sides agree that a ruling in Weidner's favor could have a major impact on Pinellas-Pasco courts because master order dismissal calendars are routinely used in many types of cases in which there has been no action within the required time period. While McGrady couldn't estimate the number of cases involved, "there are thousands of parties dismissed every year under this rule and that's the whole issue on this appeal," he said. With 28,000 foreclosure cases pending in Pinellas and Pasco, the problem of inaction has been acute, especially in cases handled by Stern's law firm. Plagued by allegations of sloppy work and unethical practices, the Broward County firm has laid off most of its employees. McGrady said the Pinellas-Pasco judiciary took the unusual step of filing its own response with the appeals court because it was unable to contact anyone at Citibank or Stern's office. "Under almost all circumstances we rely on parties to present their side in an appeal, but this was necessitated by Stern not stepping up to the plate," McGrady said. "Normally if a party doesn't care on appeal, then why should the appellate court care? In this case the concern is that a precedent may be set that would be harmful to the court" in Pinellas and Pasco. 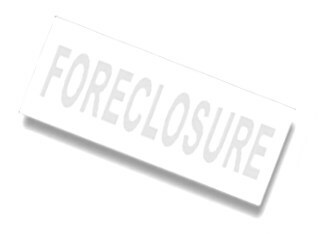 Until a higher court rules, the foreclosure cases of Weidner's clients and many others remain in question. Among the 30 cases affected by the August 2009 dismissal order were one involving a St. Petersburg house that Weidner himself hoped to buy. Weidner said he tried to work out a deal with the bank and Stern's firm, but got so frustrated he bought another place. "In most of these cases nothing has happened, they're just sitting there," he said. "It sort of begs the question — if it's not a final order and the case isn't dismissed, then why isn't the plaintiff's lawyer doing anything?"